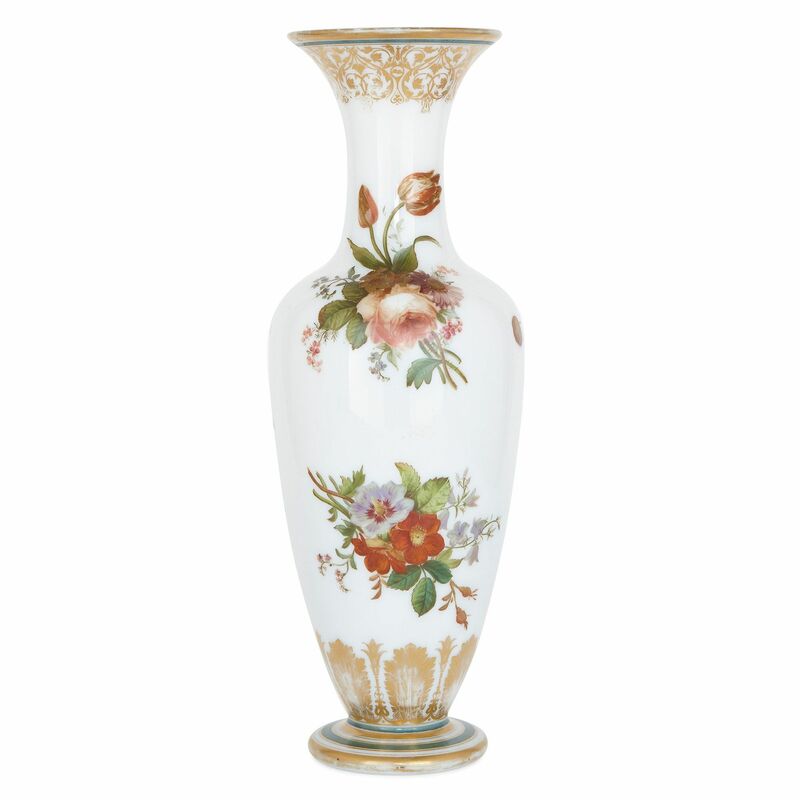 This truly exquisite opaline glass vase is the work of celebrated French glassware manufacturer, Baccarat, and features stunning floral decorations. 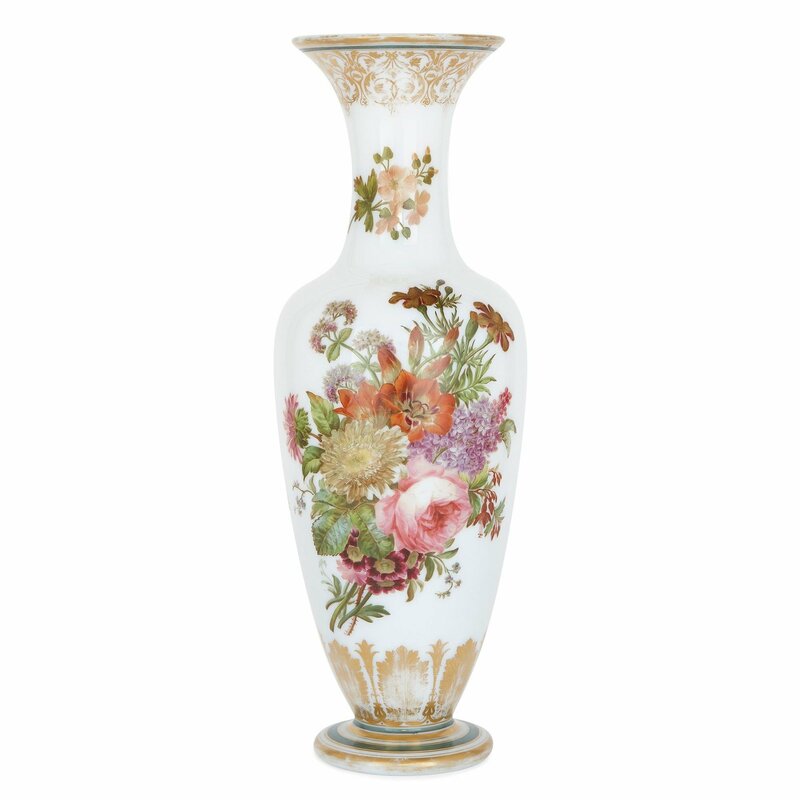 This finely decorated vase is of amphora form, and is crafted of white opaline, affording it a delicate, slightly translucent appearance. 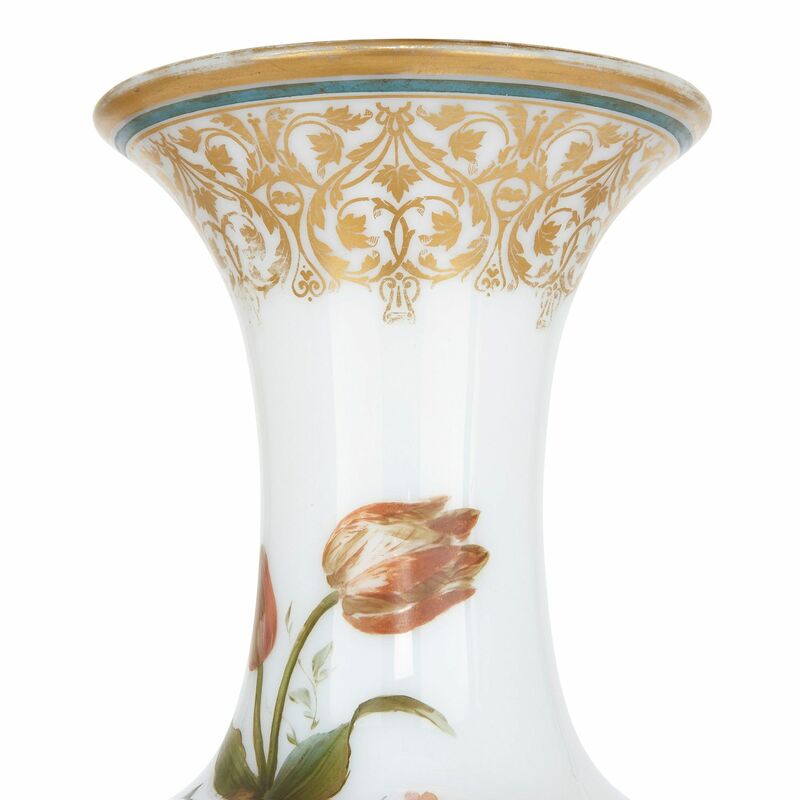 The circular base and flared rim of the vase are gilded with intricate scrolls and leaf motifs, and feature turquoise banding. The neck and body of the vase are delicately painted with several vibrant floral arrangements, which include lilies, carnations and roses. 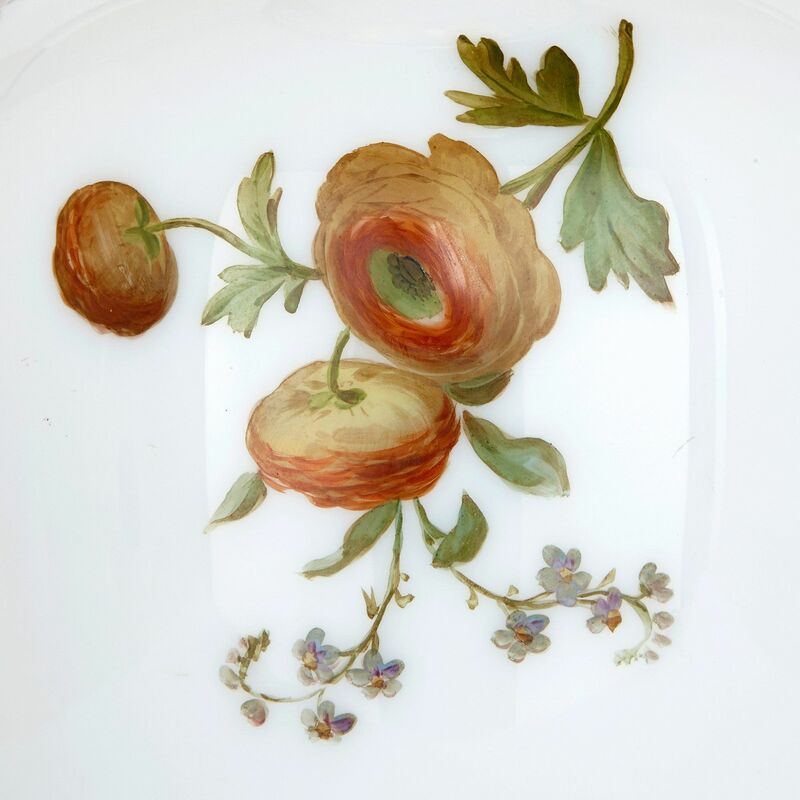 The paint is rendered in such exceptionally fine detail that they are attributed to Jean-Francois Robert (French, active mid-19th Century), who was initially a celebrated enamelist that gained acclaim for developing an enamelling technique that used an unusually low melting point that permitted the decoration of crystal. 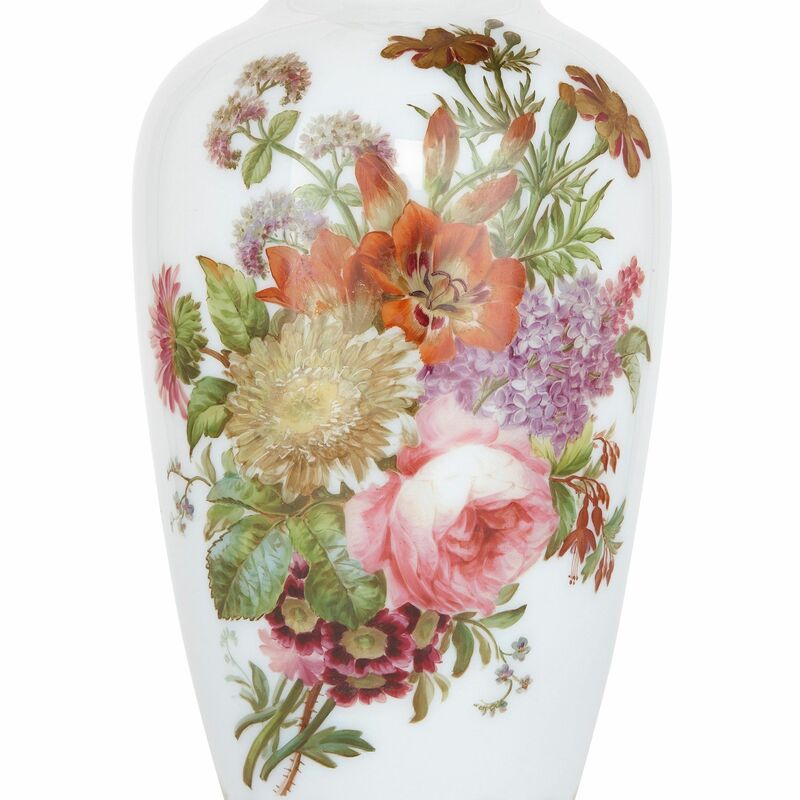 Robert then began work for the Sevres Porcelain Manufactory and from 1837 operated from his own workshop. 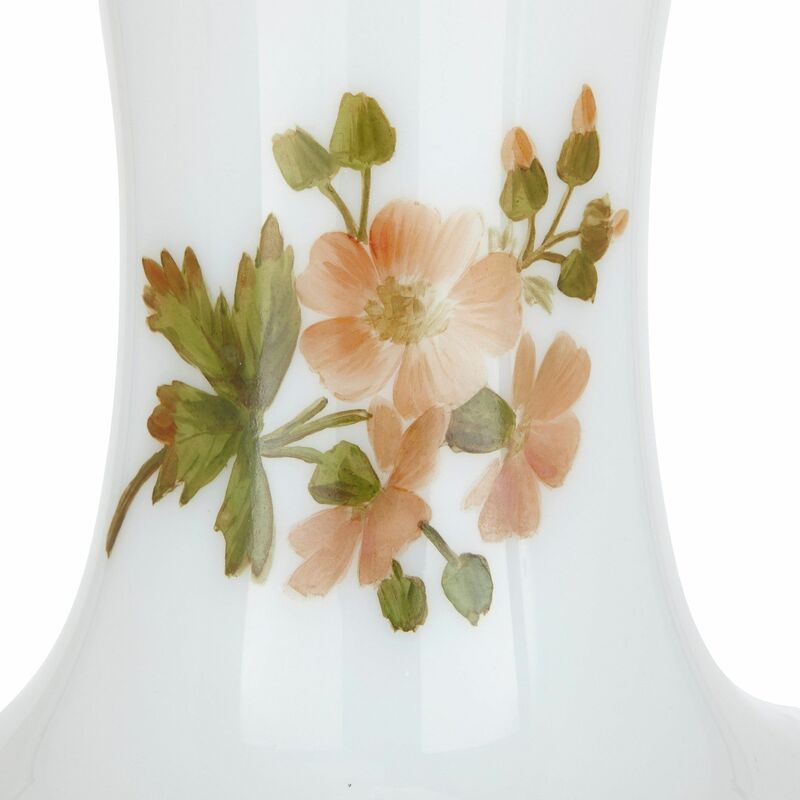 Between 1843 and 1855, Robert decorated opalines for Baccarat, and his pieces became distinguished for their lively colour palettes and intricate characteristics.